WHAT: A brief ceremony is planned to mark the groundbreaking of the Post Acute Medical (PAM) Rehabilitation Hospital of Centennial Hills, the newest addition to Centennial Hills Center, a 24.36-acre commercial mixed-use development offering medical and professional offices for sale or lease. The build-to-suit facility is the first in Nevada for PAM, a specialty hospital company that provides high-quality care in specialty and rehabilitation hospitals located throughout the U.S. Upon completion of the project, the PAM Rehabilitation Hospital of Centennial Hills will provide comprehensive care for rehabilitation patients with medically complex conditions. Specialty physicians and nurses deliver individualized treatment, including physical therapy, occupational therapy and speech therapy. The selection of Centennial Hills Center for the facility is ideal given its location that is easily accessible from both US95 and the 215 beltway, just three-quarters of a mile from the 171-bed Centennial Hills Hospital in the fast growing northwest region of the Las Vegas valley. Centennial Hills Center is home to numerous medical groups including Humana, Healthcare Partners of Nevada, Retina Consultants of Nevada, Canyon Oral & Facial Surgery, & Advanced EyeCare. Sina Companies LLC & IREPLV, LLC, are the developers of Centennial Hills Center. WHEN: Wednesday, October 26 at 11:00 a.m. One-half mile south of 215 Beltway on N. Durango between Centennial Pkwy and Grand Montecito Pkwy. Look for the tent in the rear of the parking lot. Centennial Hills Center is a 24-plus-acre, commercial mixed use development offering medical and professional offices for sale or lease in the fast growing Centennial Hills sub-market of northwest Las Vegas. The project is conveniently located one-quarter-mile from both US95 and the 215 beltway, just three-quarters of a mile from the 190-bed Centennial Hills Hospital. Centennial Hills Center consists of 18 buildings encompassing 290,269 square feet of medical and professional office and retail buildings. Phase one of the project is complete and occupied by tenants including Healthcare Partners of Nevada, Humana, Retina Consultants of Nevada, Advanced EyeCare, Canyon Oral and Facial Surgery and Randolph Law Firm. Phase two of the project is now under way with the construction of the Post Acute Medical Rehabilitation Hospital of Centennial Hills. Phase two will also include additional medical and professional offices as well as retail services. Developers are Malcolm and Robert Sina of Sina Companies, LLC, and Michael Young, of IREPLV, LLC. IREPLV, LLC Las Vegas is providing commercial real estate brokerage services. For more information, contact Mike Young at myoung@hrep.us or 702-604-6209. 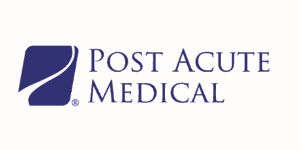 Post Acute Medical LLC, based in Enola, Pennsylvania, is a specialty healthcare company with 31 hospitals throughout the U.S. focused on providing high quality care in the most efficient and cost-effective setting. Throughout the communities we serve, Post Acute Medical™ offers hope and acts as a catalyst for achieving optimal quality of life by: focusing on putting the patient first and providing quality care for the medically complex (LTACH) and rehabilitation patients; providing comprehensive, individualized treatment including physical therapy, occupational therapy, speech therapy and specialty physicians and nurses; returning each patient to their highest possible functional status.